Take Advantage of Our Knowledge and Experience! Let's face it. 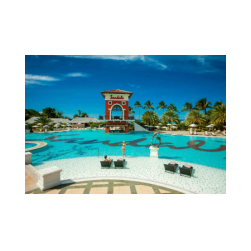 There are thousands of travel agents and travel websites where you can book your Sandals Resort or Beaches Resort trip. We guarantee that no matter what price you find, there is someone, somewhere, willing to do it cheaper. We can also guarantee you it is almost impossible to learn everything you need to know with information gleaned from web sites and brochures. We, along with a only handful of other travel professionals, possess the knowledge, the experience, and the personal island contacts to insure your vacation, honeymoon, or destination wedding is trouble free and exceeds your expectations. We do not claim to be #1 in bookings, size, or dollars; however we are #1 in personal service and support to our valued customers. Once you become our customer, we will provide you with destination information and support you cannot find anywhere else. Many travelers before you have cost themselves a lot of extra money and anguish by "going it alone". We get phone calls and emails everyday from people just like you who have a major problem with a trip they have already booked or just completed. Almost every problem (which could have been foreseen and prevented) can be attributed a lack of knowledge prior to booking. We also get calls and emails everyday from our customers thanking us for all the "heads up" and small details we alerted them to prior to travel. We get several new customers each month who met one of our customers while on vacation and want the advantage we provide when booking their next vacation. We are travel professionals who love their work and specialize in personal service. We have over 25 years of travel experience in the Caribbean, Mexico, and cruises. 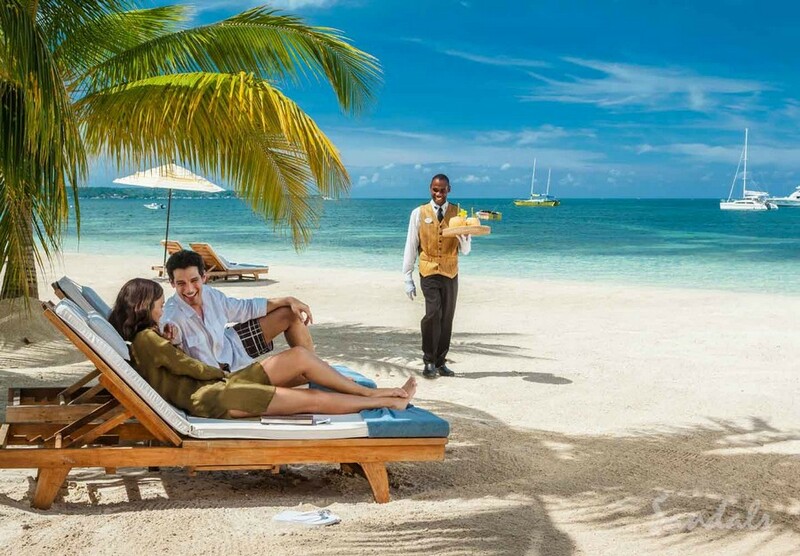 With more than 100 personal trips to all the Sandals Resorts & Beaches Resorts, (Jamaica, St. Lucia, Bahamas, Antigua, Grenada, Barbados, Turks & Caicos), we take pride in the fact that our knowledge allows us to help hundreds of travelers just like you travel to Sandals Resorts or Beaches Resorts and have a huge head start on the "Sandals all-inclusive learning curve" before you even get to the island. Because we usually have clients on the islands everyday of the year, we get updates on hotels, resorts, road conditions, airline performance, etc. continuously. 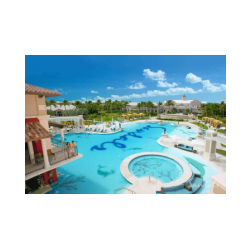 With Sandals Resorts we have earned the designation of Chairman's Royal Club, Platinum Certified Sandals Specialist, Chairman's Choice-Best of the Best, Lifetime Achievement Award, and Silver Sandals Weddingmoon Specialist. 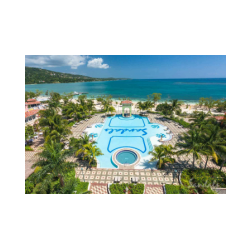 We are personal friends with the general managers, sales managers, and public relations managers at the all the Sandals Resorts and Beaches Resorts. Which Sandals is The Best? One thing that should be high on your list of priorities is getting to the Sandals which is best for you! There is a whole lot about each Sandals you can never learn from a website or brochure. And, unless you have been to every Sandals Resort, there is no way to really compare which one may be better for you compared to another. 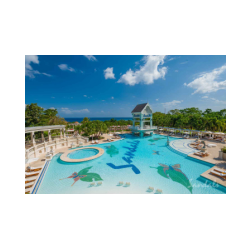 One great thing about Sandals is you will find the best in dining, water sports, entertainment, swimming pools, beaches, etc., at all of them. Beyond that, each Sandals has its own character. There is no “cookie cutter” design like you find with many hotel chains. Each property has its own unique characteristics. 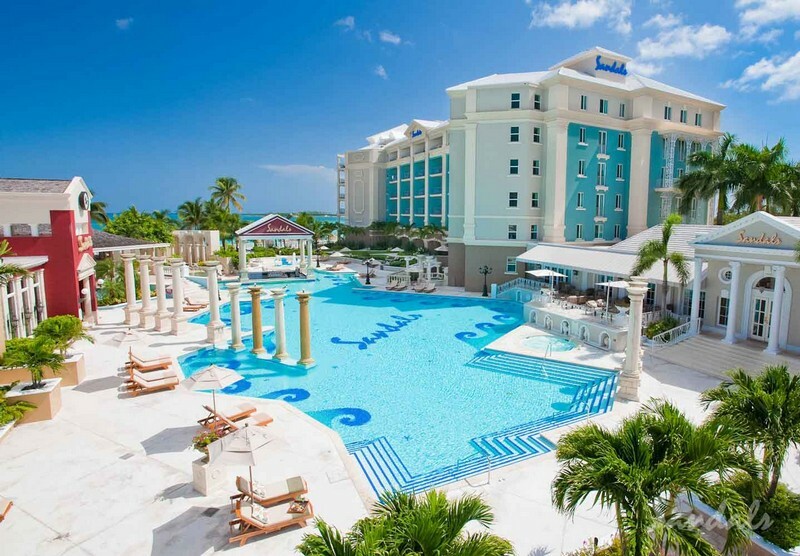 That is because Sandals has built only four properties from the ground up. All the others were acquired from previous owners. A characteristic may be a strength or a weakness depending on what is important to you. Have a Question about Sandals or Beaches Resorts? Simply fill out the form below to ask your question. We will get you the answer, often in just minutes, sometimes in a few hours, almost always within a day. WE DO NOT SHARE YOUR INFORMATION WITH ANYONE ! 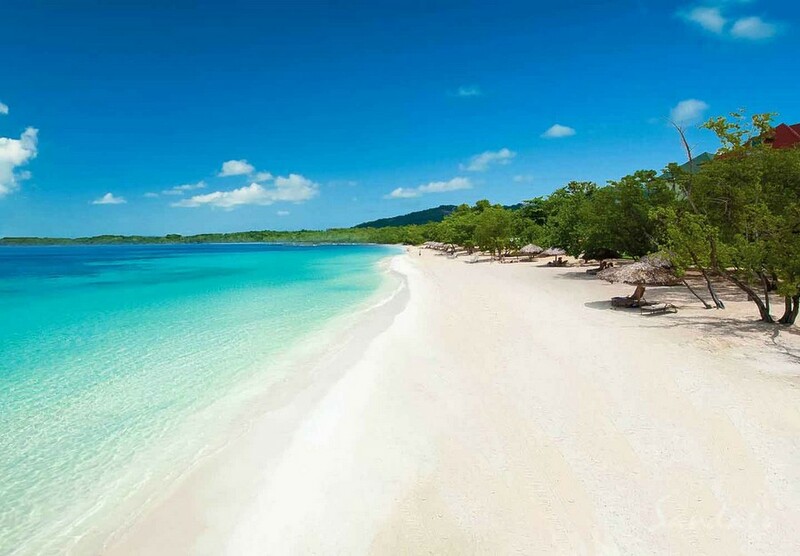 I get phone calls and emails every day from guests who have already booked their Sandals vacation. It's amazing after a short discussion with me how many times they switch their booking to a different Sandals. They realize they booked the wrong Sandals in the first place! It’s easier to book the wrong Sandals than you might think. One common thing I see couples do is book based on PRICE! This is especially true when a Butler category is high the list but the budget is limited. So what happens? 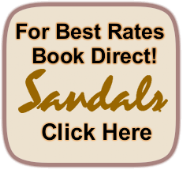 They book a butler category a Sandals Ochi because the rates are so much lower than any other Sandals for butler rooms. 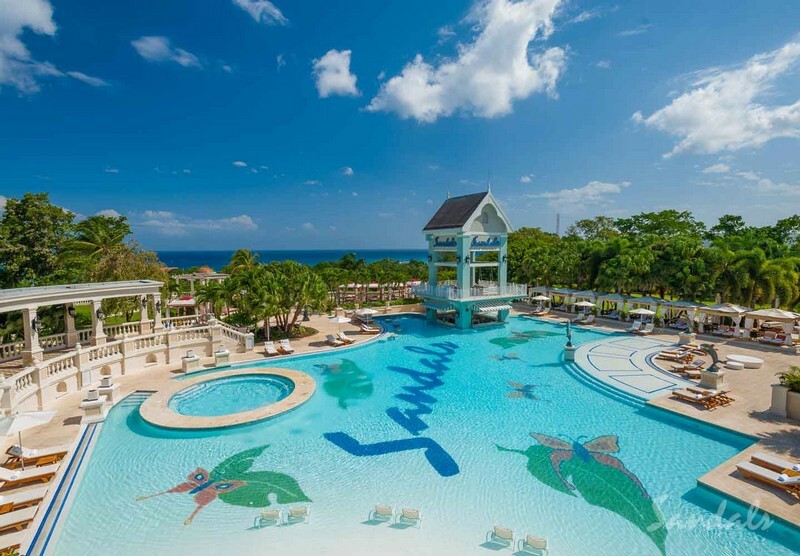 However, Sandals Ochi may not be the best Sandals Resort for everything else they want! 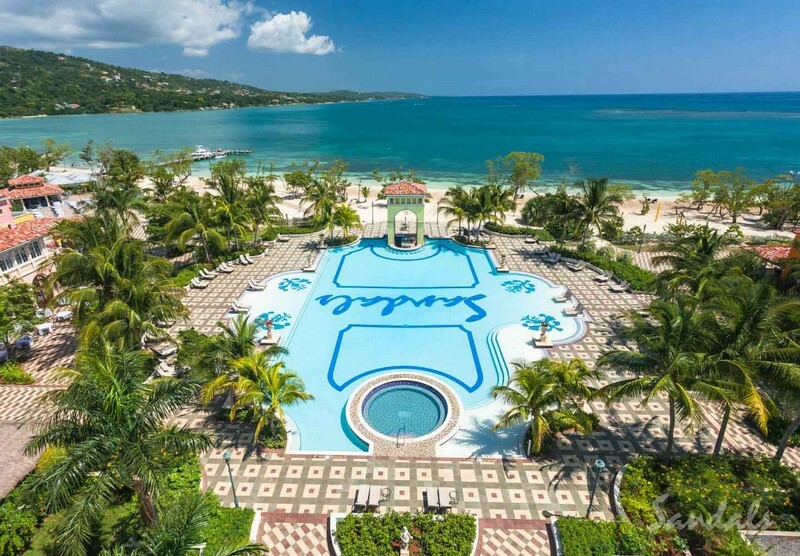 If a great beach is the number one priority, there are two or three Sandals Resorts that really stand out (and Sandals Ochi isn't one of them). But even among the Sandals with the best beaches the environment at one may be a turn-off for some and a turn-on for others. 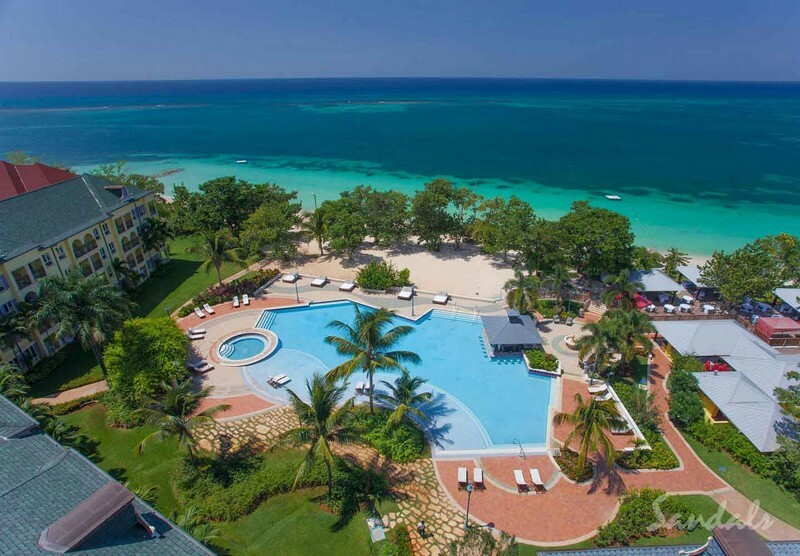 If golf is high on your list of things to do while on vacation Sandals has one resort with one of the best golf courses in the entire Caribbean right on property. At another Sandals you will be hours from the first tee. If you want a laid back, easy going environment there are a couple of Sandals that will be perfect for you. But Sandals also has resorts where if "laid back" is what you want, you are going to be miserable if you end up there. More interested in really nice swimming pools and swim up bars? 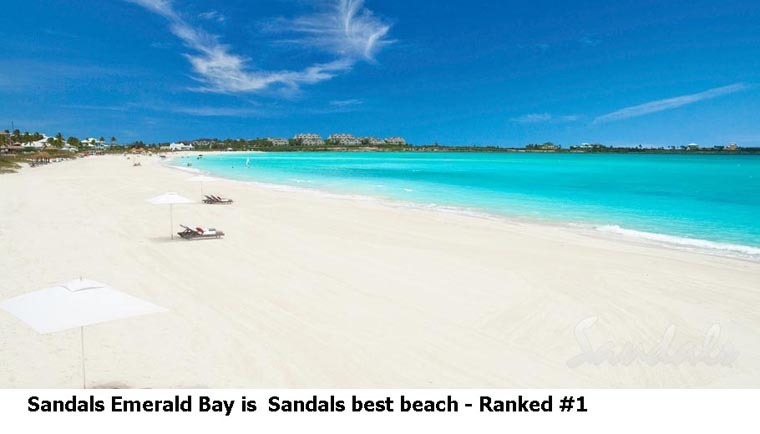 Top of the list are Sandals Whitehouse, Sandals Ochi, Sandals Emerald Bay, and Sandals Royal Bahamian. 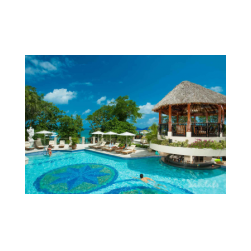 (Sandals Inn and Sandals Royal Plantation are the only Sandals that do not have swim up bars). 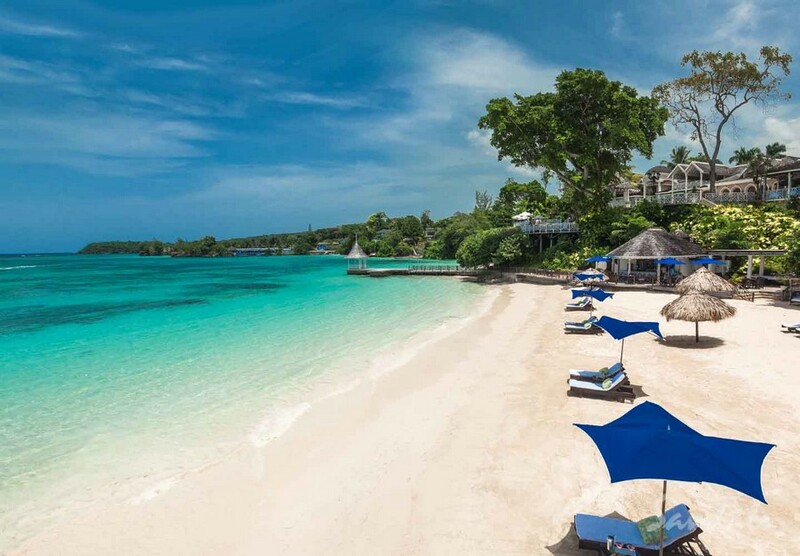 If true beachfront rooms is what you are looking for Sandals Royal Caribbean, Sandals Emerald Bay, Sandals Negril, and Sandals Montego Bay and Sandals Royal Caribbean have beachfront suite rooms that you can step out onto the sand and into the water. 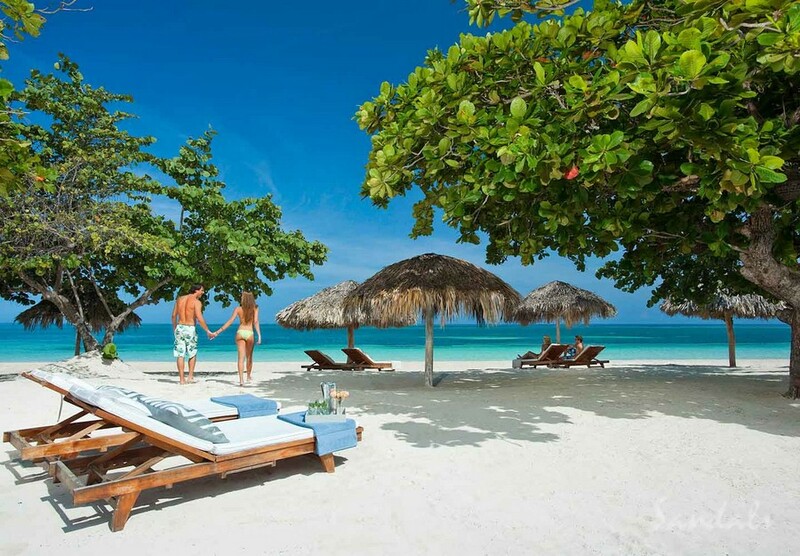 For ocean front rooms right on the water, check out Sandals Ochi and Sandals Montego Bay. Looking for the best beach? 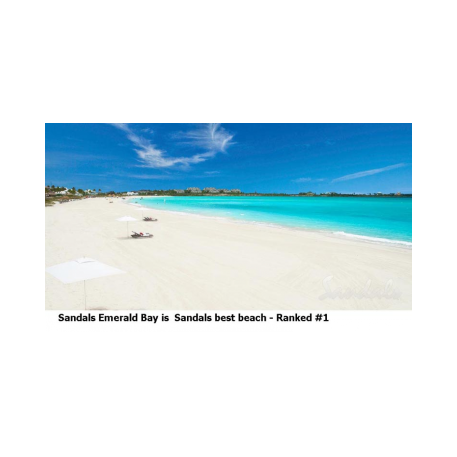 Then Sandals Emerald Bay may be for you. 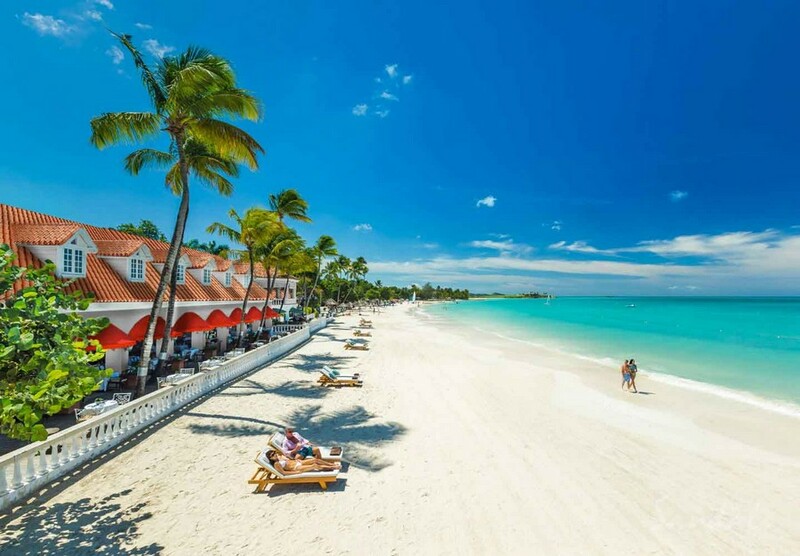 You will also find great beaches at Sandals Antigua, Sandals Negril, and to a lesser extent Sandals Whitehouse, Sandals Montego Bay, and Sandals Royal Plantation. For detailed differences you should give us a call (303-989-4880) and we can provide you with all the subtle differences. If you're a "foodie" then you should be happy at all Sandals. 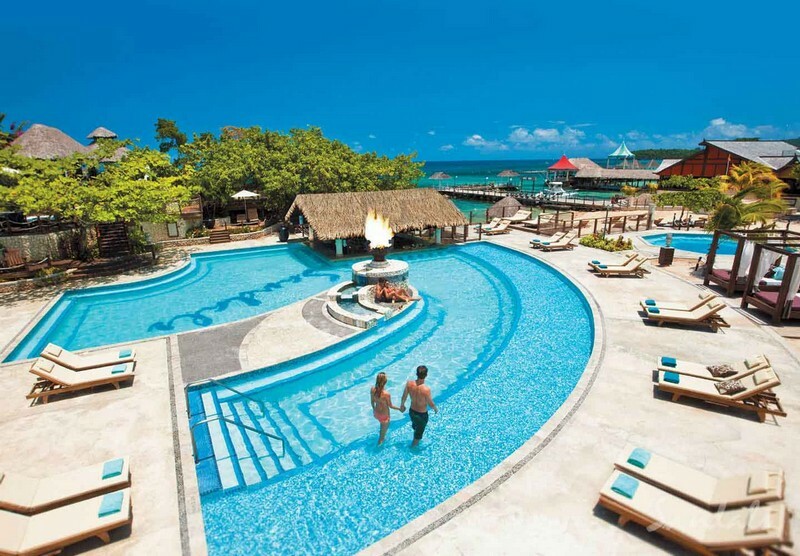 However to really get the gastro going check out Sandals Ochi with 16 restaurants. 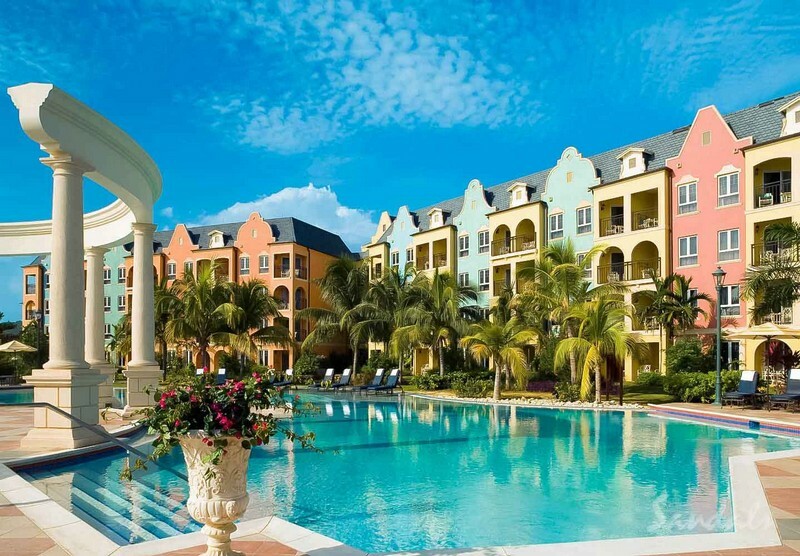 Although not a Sandals, if eating is your thing don't ignore Beaches Turks & Caicos with 21 restaurants! 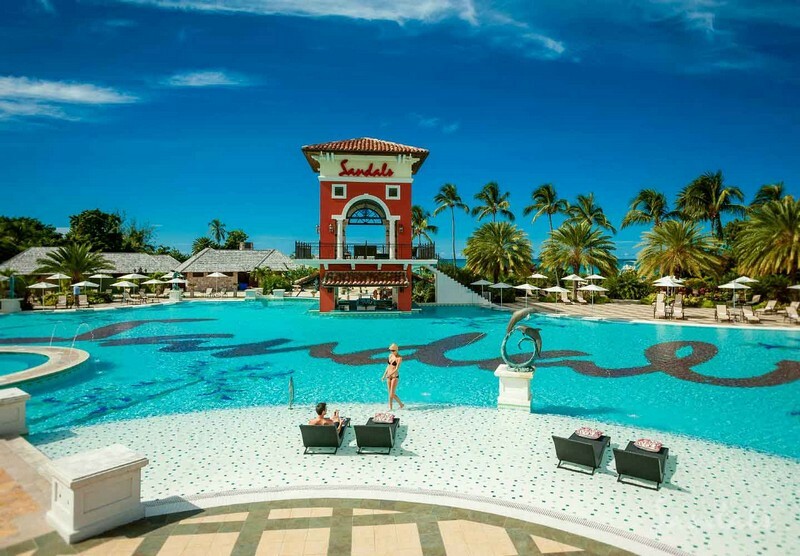 Sandals Barbados and Sandals Antigua, both with 11 restaurants, and Sandals La Source Grenada with 10 restaurants should also keep your belly happy. 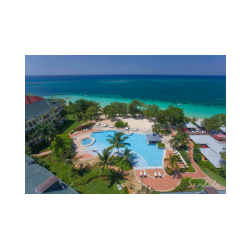 In the Montego Bay, Jamaica area you can enjoy 19 restaurantsdifferent restaurants via the free shuttle between Sandals Inn (4 restaurants), Sandals Montego Bay (7 restaurants), and Sandals Royal Caribbean (8 restaurants). A similar experience can be found in St . Lucia with the free shuttle between Sandals Regency la Toc, (9 restaurants) Sandals Halcyon (5 restaurants), and Sandals Grande St Lucian (13 restaurants) serving up a total of 27 different restaurants. Maybe private plunge pools are your thing. 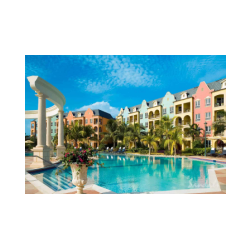 You will find some at Sandals Antigua, Sandals Regency la Toc (St Lucia), Sandals Negril, and Sandals Halcyon. 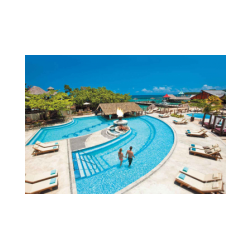 For the ultimate in plunge pools check out the Sky Pools at Sandals Grenada (La Source). 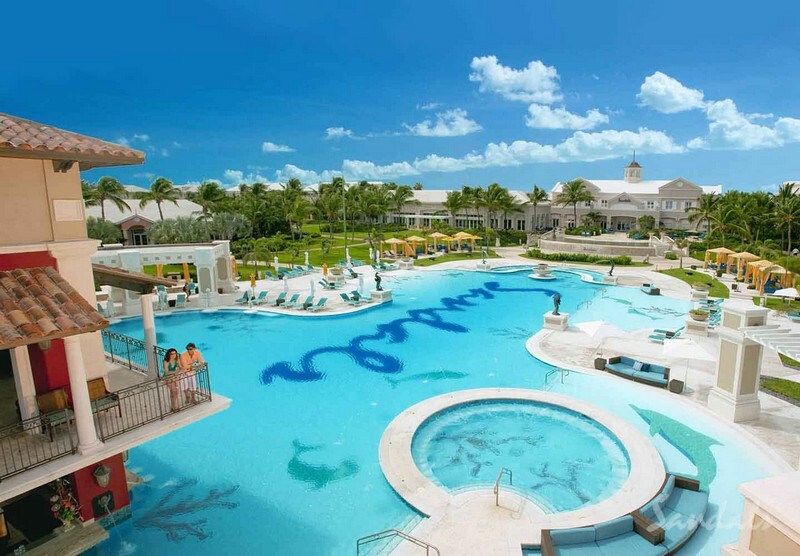 If golf is your thing, you will not find a better golf resort anywhere in the Caribbean than at Sandals Emerald Bay. 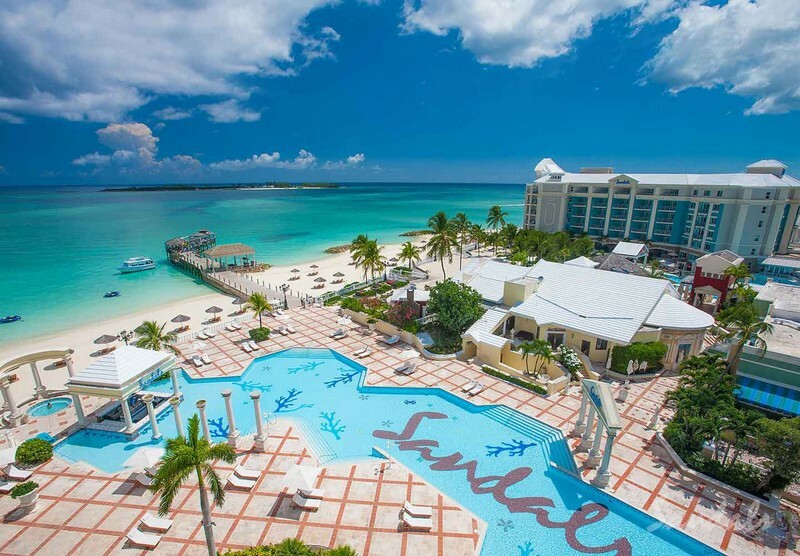 Sandals Emerald Bay Golf Course is second to none. 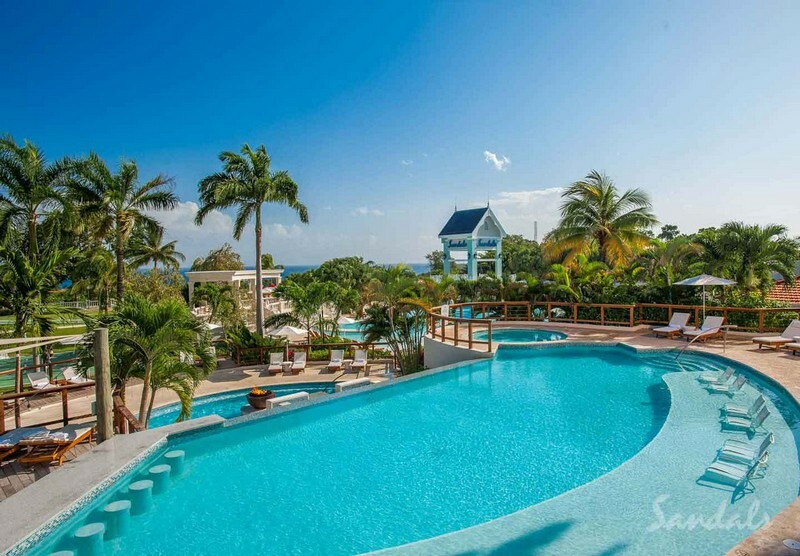 Head over to Sandals Ochi for Sandals Golf & Country Club with 18 challenging holes. The nine hole course located on property at Sandals Regency la Toc (St Lucia) although small, will test your skills. 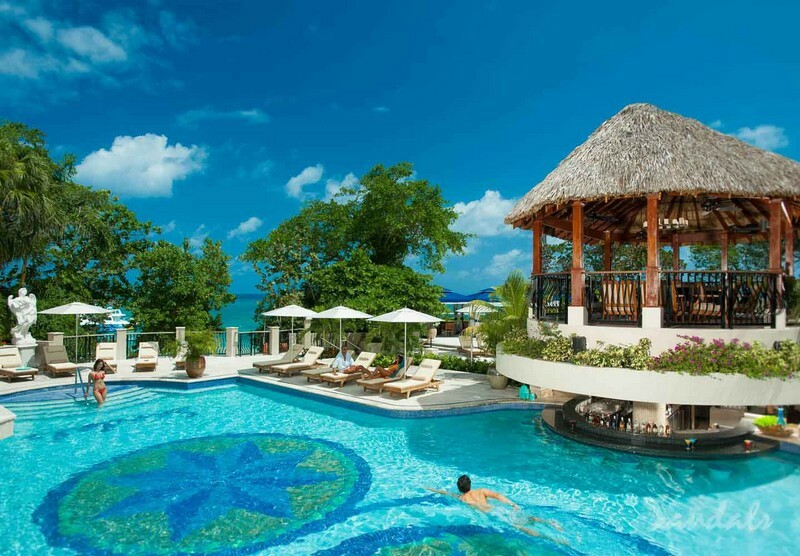 For shared private pools, Sandals Ochi has over 90 pools that the different hillside villas offer. 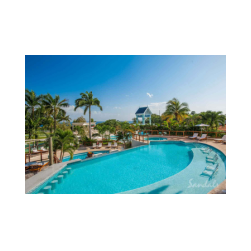 You will find swim-up rooms at Sandals Barbados, Sandals Negril, Sandals Grande St Lucian, Sandals Royal Caribbean, Sandals Montego Bay, and Sandals La Source Grenada. 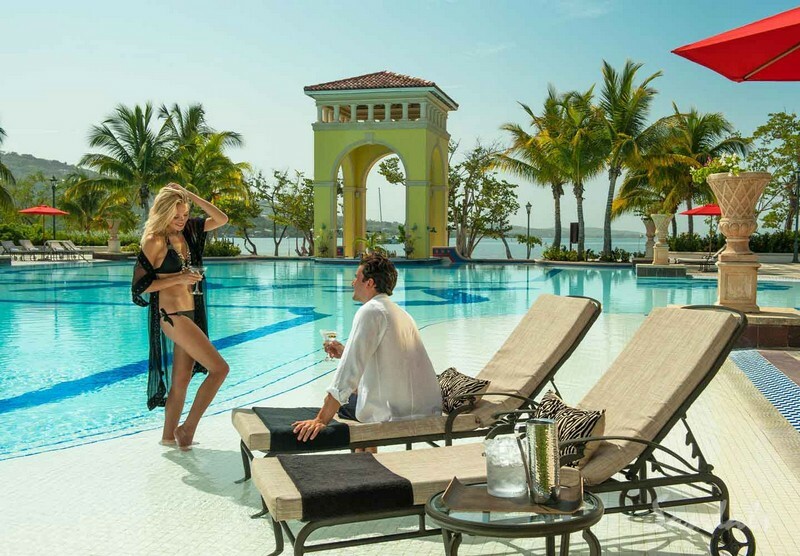 And for the ultimate suites anywhere in the Caribbean you should book one of the over water suites at Sandals Royal Caribbean. 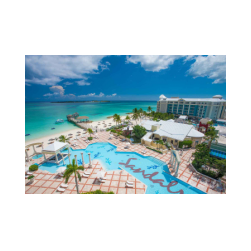 (Sandals Grande St Lucian and Sandals South Coast soon). With some of the Caribbean’s best dive sites, Sandals Resorts is the perfect place to explore and experience the world underneath the water’s surface. Novice divers can take advantage of a resort course that will have you participating in dives by the very next day. Outdoor lovers can find more adventure in the water sports offered by Sandals Resorts. Glide across the waves while sailing, kayaking, and windsurfing; or explore the life under the sea with a snorkeling expedition and glass-bottom boat ride.